If you and your spouse are heading toward a divorce, it is very easy to become overwhelmed with all of the decisions that must be made and how best to navigate the process. There are two primary options for settling the important issues in a divorce including division of property, development of a parenting plan (or custody agreement) and the determination of child and/or spousal support payments. You can process through the traditional court system or navigate the divorce process using mediation to settle your divorce. Johnson Mediation specializes in divorce mediation services and can guide you through the entire process, saving you time and money along the way. If you and your spouse have an especially contentious relationship, you may decide that a court should settle the important aspects of your divorce. In these instances, you both hire lawyers and the outcome becomes more about winning and losing than finding solutions. This option can take many months as you must wait on various schedules and a contested divorce can cost anywhere between $15,000 and $30,000. A contested divorce means that you and your spouse cannot agree on every aspects of your settlement, so the decision rests with the courts. Divorce mediation uses a neutral third party (a mediator) to facilitate productive discussion about how to resolve the outstanding issues in your divorce. You and your divorcing spouse work together to find common ground and solutions. This process allows you to be creative and find solutions that work for your family’s unique needs. Divorce mediation takes weeks, instead of months and can usually be completed in 3-4 two hour sessions. It costs between 20-50% less than a court battle and is entirely confidential. Mediation can be effective even in cases with high complexity and conflict, and you are encouraged to use outside experts including accountants, appraisers, financial planners and even attorneys. Johnson Mediation serves couples in the Chanhassen, Bloomington, and Richfield, MN area. If you choose mediation to settle your divorce, you can be confident that our team can help you and your family move forward in a positive and productive way. Jeff Johnson is a state qualified neutral mediator, social & financial neutral evaluator, parenting time expeditor, parenting consultant, parenting coach and a parenting class instructor. 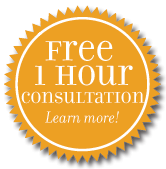 He has decades of experience and is happy to schedule a free consultation to provide more information and help you decide if mediation is the best path for you. Call Johnson Mediation at (952)401-7599 for more information.